The Dominican Republic enjoys sunny weather almost year round, and rain comes on and off in every season. The weather in Sosua is generally sunny and tropical with few episodes of rainy weeks, which used to be more in May but due to changes in world climate it varies around September-December. 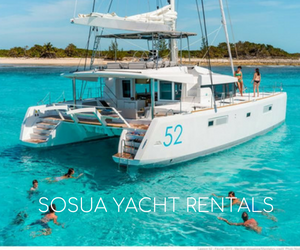 Most sosua villa rentals clients check the weather before booking flights to the Dominican Republic, which is why we`ve set up this Sosua weather page with updated weather reports. Hurricane season is the most feared period for travelers, out of fear of losing the precious sun during their vacation. The island of Dominican Republic is less likely to be hit by hurricanes than most other islands such as the Dutch islands of Curacao, Bonaire and Aruba. The DR might be hit every 10-12 years depending on weather trends, and Puerto Plata has felt impact once every 20 years or so. August to October are the peak of hurricane season, but again, there`s minor chance for the DR, and specially the North coast, to get hit. Sosua villa for rent guests and probably most resort guests have the chance to reschedule their travel to Sosua if the area was ever to be hit by a storm. The city of Puerto Plata has a cool weather almost all year long with some rains due to the influence of the Isabel De Torres Peak, with temperatures around the 65-70 degrees F. most of the time. It is common to find a very sunny day in Sosua, Cabarete, Cofresi and Costambar and then see rain pouring down in Puerto Plata`s urban areas. If the weather report station picks up the report from that specific area, it could be that tourists think there`s rain all over the beach towns, so this is the reason why so many webcams were set up in Cabarete and other areas so people can see actual weather online. We will soon add a live webcam in some areas of Sosua including the beaches, and place a live feed in this page and in youtube.